A blood pregnancy test is run by the obstetrician during the first office visit, in most cases. While the urine pregnancy test can detect the presence of the hCG hormone, it cannot tell the doctor how much of the hormone is present in the body. The blood pregnancy test delivers an hCG level which can tell a lot about the baby, or babies. Human chorionic gonadotropin, or hCG, releases into the body starting from the first moments after conception. This hormone is first released by the embryo with the placenta taking over production soon after. Progesterone levels needed for the growth of the fetus are protected by hCG. 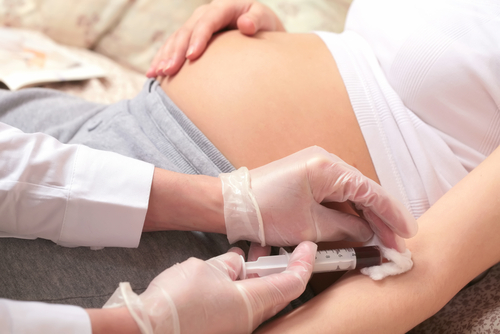 Blood tests taken after the 4th week of a pregnancy should measure hCG levels between 5 and 426 mlU/ml. This number will grow exponentially until the 10th week of pregnancy when the levels will peak. If the hCG levels are far greater, the blood pregnancy test could have revealed something else. In a multiples pregnancy, the hCG level will often be higher than with a single pregnancy, in some cases. The embryo is responsible for releasing the hCG before the placenta takes over. This means if there are multiple fetuses, more hCG could be released. The blood pregnancy test may come back with these higher than normal levels leading to an early ultrasound to rule out a multiple pregnancy. The higher than average hCG level could also be indicative of an ectopic or molar pregnancy. If the ultrasound does not reveal a fetus in the uterus, the mother will have to undergo further testing to find the source of the hCG. The ectopic pregnancy will not end in a live birth. A molar pregnancy is a pregnancy that occurs without an egg nucleus. This pregnancy will cause very elevated hCG levels and a larger than gestational age growth of the abdomen.